Today marks the opening of the 2018 Winter Olympics in PyeongChang, South Korea. As our Team USA athletes are getting settled into their new home-away-from-home in the Olympic Village, let’s take a look at what our own Olympic Village will look like at the 2019 World Scout Jamboree. The World Jamboree is often best described as the Scouting Olympics. 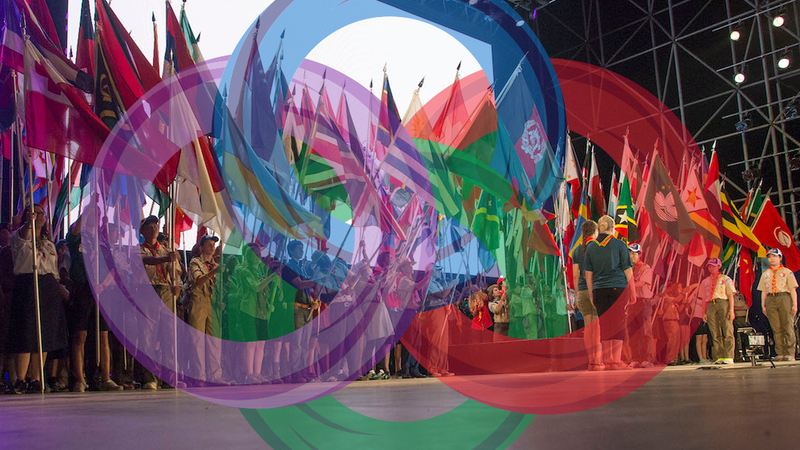 As a quadrennial, international event, hosted by different member organizations around the world, attended by a select group of representatives from each member organization, it’s easy to see that the Olympics and World Scout Jamboree have a lot in common. On a deeper level, both events also share a desire to foster international peace in a fun and light-hearted way. At both of these events, the heart of that desire is the central plaza. Just like in PyeongChang, the 24th World Jamboree will have a center for global awareness and international peace. This center will be made up of three programs elements: the Global Development Village, the Centro Mondial, and the World Point. The Olympics and the Jamboree both have their share of traditions to continue. One of these, the Global Development Village (GDV), was first added to the Jamboree program in 1991 at the 17th WSJ in South Korea and has since become a hallmark of the World Jamboree and its sister event, the World Scout Moot. The GDV at the 24th WSJ will be divided into four neighborhoods, each designed to allow Scouts to explore global issues, exchange ideas, and better commit to the World Organization of the Scouting Movement’s (WOSM) mission of “Creating a Better World.” The focus of the GDV will be the United Nation’s Sustainable Development Goals, an ambitious initiative which Scouts have pledged to support. Another World Jamboree tradition that will be present in 2019 is the Cultural Celebration Day. This is a day set aside just to promote cross-cultural exchange. Although the exact details of this celebration are yet to be released, typically Cultural Celebration Day (or International Day) involves trying as much food and games from other countries as possible. Unfortunately, this mass exploration of food and culture has not yet become an Olympic sport but when it does, World Jamboree attendees will be ready for it! The epicenter of Cultural Celebration Day will be World Point. Stretched across the top of the AT&T Stadium, World Point will be an explosion of exhibits from a myriad of National Scout Organizations (NSOs) and other groups. Here you’ll be able to learn about the cultures, traditions, and scouting of just about any country imaginable. Interspersed among the NSOs will be other international organizations, eager to talk with you about what they do and how you can better engage with your favorite global topics. World Point will also host the Better World Tent, where you can learn about all of WOSM’s many international programs and initiatives. While World Point will likely be busiest on Cultural Celebration Day, it will also be a fun place to hang out on any day. If you need a break from World Point, head on over to the Centro Mondial, your doorway to “Unlock a New World.” There, you will be invited to look inward, outward, and forward. The Jamboree planning team, like the 2018 Olympic planning team, knows how important faith is to international peace and to each individual’s life. That’s how come both teams have placed multi-faith centers in the middle of their villages. At Foundations, Faith, and Spirituality, you can explore how faith affects your life and the lives of others. Learn about world religions and take a deeper look at what faith and spirituality are. With any luck, you might learn something new about your own beliefs as well. Learning more about yourself is great, but with tens of thousands of people coming from across the globe, we North Americans, as hosts, naturally want to show off our corner of the world. Whereas in PyeongChang they have their Traditional Cultural Centre, in West Virginia we’ll have The North American Dream. The North American Dream will explore what it means to be North American, as well as the values and vision that made our continent the amazing place it is. There, you will have the opportunity to learn more about our global region and to show off your local expertise to newly made international friends. Sharing cultures often means sharing history and traditions and these elements will certainly get their share of attention at the Jamboree. Ultimately, though, events like the World Jamboree and the Olympics are forward-looking affairs. For example, an Olympic attendee in PyeongChang can get a Virtual Reality demonstration at the Live Pavilion. Likewise, a Jamboree attendee will be able to explore the future of exploration, media, inclusion, jobs, ethics, hobbies, STEM, conservation, and more at the Living In the 21st Century program area. As we fulfill WOSM’s mission of “Creating a Better World,” it will be important to learn how we can shape and take advantage of the changing world we live in. That’s exactly what Living in the 21st Century will offer. That’s not the only taste of the future available at the World Scout Jamboree. Increasingly prevalent smart technology is rapidly changing how our events work. The Rio Olympics saw wearable rings and bracelets to facilitate wallet-less purchases for athletes. Now, PyeongChang is demonstrating their tech prowess with state-of-the-art 5G connectivity and Virtual Reality live-streaming. Similarly, the Jamboree will integrate tech into every element of camp life. In December we looked at how smartphones will revolutionize the Jamboree food system. The Summit is also one of the most connected campsites in the US, with wireless internet access across camp. In addition, in a recent email, members of the host team have hinted at further measures including, “wearable technology that connects and unifies,” and “cutting-edge global leadership development programs” that connect scouts far beyond the limits of social media. The goal is not only to use new technologies but to leverage them in order to facilitate life-long, world-shaking friendships. After all, making life-long friendships is what the World Jamboree and the Olympics are all about. All of these similarities are simply reflections of the shared purpose of these events. 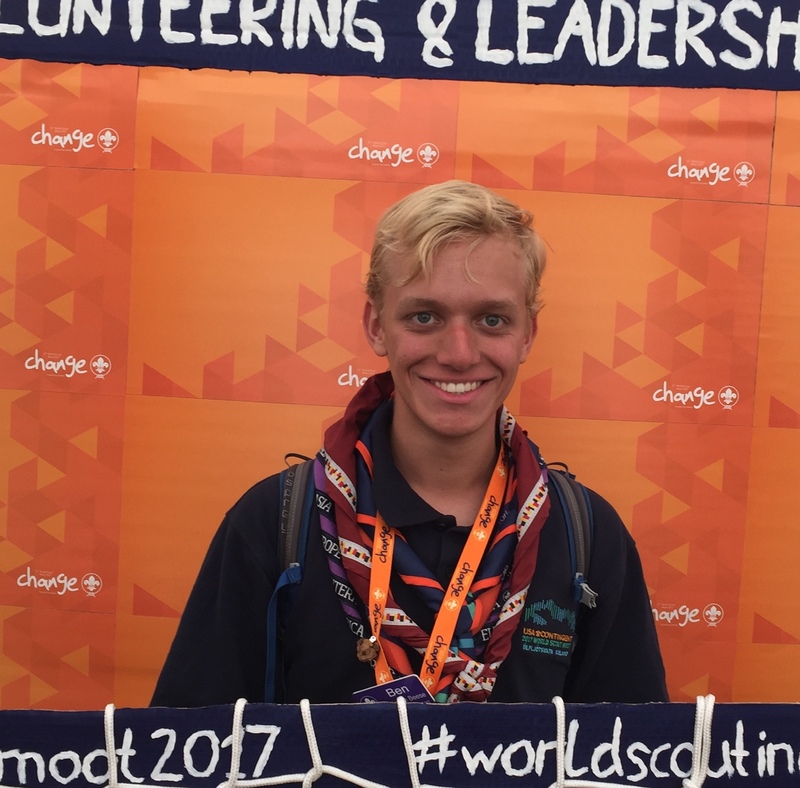 Once we look past all the fun times, the good memories, and the many friendships formed, the World Jamboree and the Olympics are essentially about the serious work of bringing people together and making the world a better place. There is no better way to prove this than to look at the very center of each event venue. Although it often goes unnoticed, it’s worth noting that both the Olympics and the Jamboree surround a stage. It’s telling that, despite all the other activities and state-of-the-art facilities at these events, it’s the arena, where people come together and share a single experience, that gets the honor of being both the first and the final venue used. This serves as a final reminder that the fun had has brought us all together and, at least for the duration of the event, has formed a peaceful world community. So enjoy the next two weeks of Olympic fun, and then prepare for the Scouting Olympics in 2019.